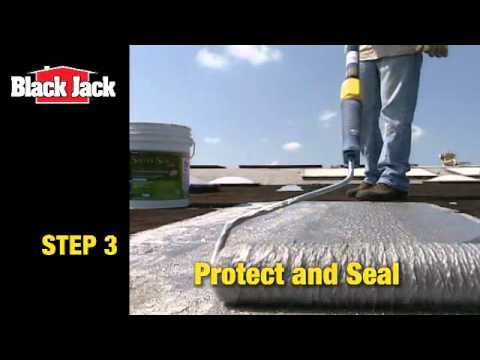 5175-A-30 5 gal 12" x 12" x 14.75"
5175-A-34 1 gal 6.75" x 6.75" x 7.75"
Black Jack® Silver Seal 300 is a liquid applied, coating that forms a reflective and protective finish to roofs. This blend of asphalt and aluminum forms a bright silver finish that reflects heat and UV rays. This product will seal and waterproof a variety of roof and outside wall surfaces. It protects, insulates, decorates and preserves built-up asphalt roofs, composition roofs, silos, metal roofs, siding, and water towers. It may also be used on cinder blocks as a sidewall coating. Do not use on shingle roofs, or over rubber membranes, EPDM roofing systems, or elastomerictype coatings.